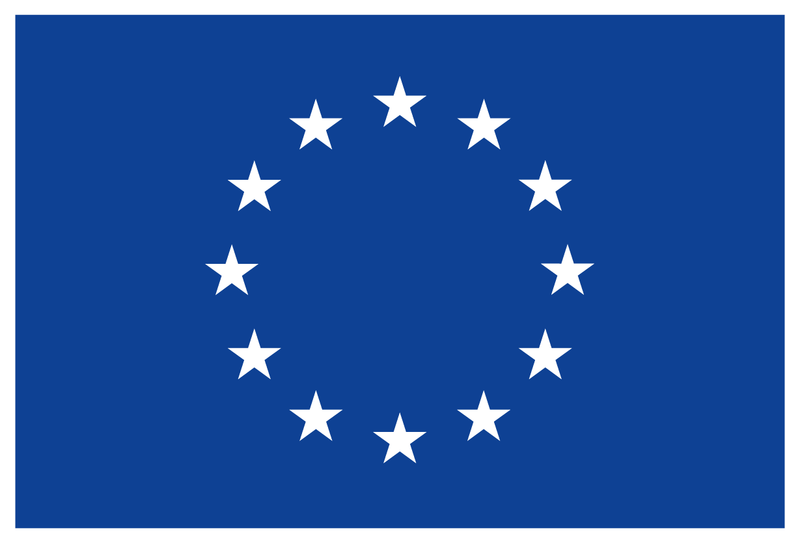 In order to increase the replication potential of the 4RinEU deep renovation packages (including technologies, methodologies and business models), the project adopts a geo-cluster approach. In each geo-cluster, there will be either a Demo-Case, which will undergoes deep renovation process from the design phase to the monitoring during operation, and an Early Adopter building, where a feasibility study for a renovation with 4RinEU approach will be carried out. 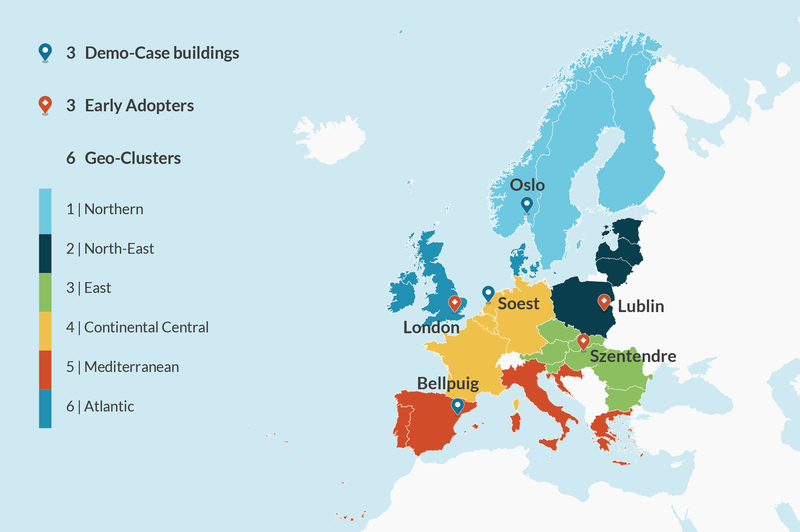 Starting from the outcomes from the EU-funded project Ge2O, we defined the boundaries of 6 EU geo-clusters, according to climate, requirements in case of renovation and consistency of the residential building stock. 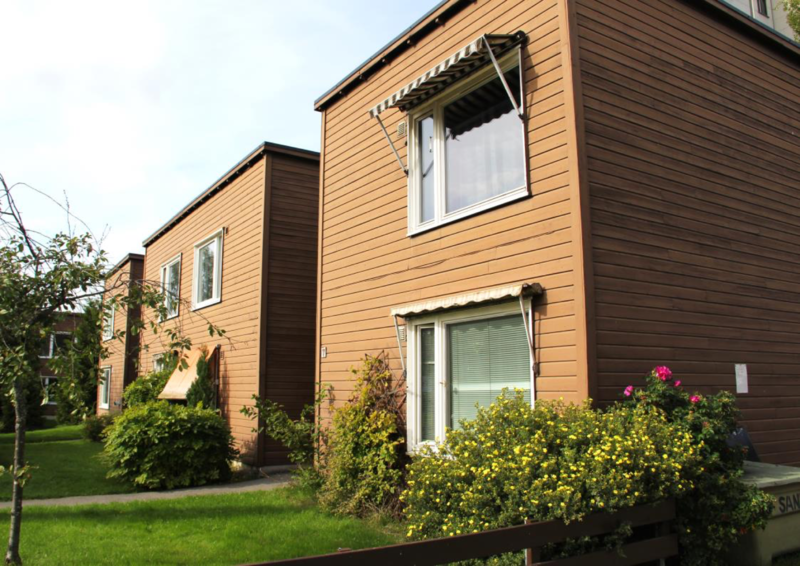 In particular, in order to take into account the climate conditions, we adopted the Heating Degree Days, for the building features the amount of multi/single family houses and the construction period as well as the main used construction materials (source: FP7 project iNSPiRe) and the minimum value of thermal transmittance for new constructions and renovation. Further than the Demo-Cases and the Early Adopters, a set simulations and analyses to tailor the 4RinEU renovation packages, according to the geo-cluster features and needs, will be carried out for a set of representative Building Archetypes selected for each geo-cluster.